Let all the guests always get sincere concern and comfortable hospitality. 1.We are going to on the basis of "people oriented" management enterprise, make enterprise become a mutual trust and fellow volunteersCollective and employees to pursue correct life. 2. We want to make sure that all managers continue to pursue the best performance. 3. We will consistently provide guests with that we can offer the highest quality of service and products. 4. 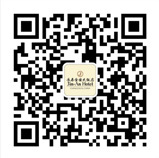 We want to make sure that managers to stay in contact with the guest directly, to the spirit service. 5. We want to provide personalized service for the guest, as far as possible from the perspective of the guests. 6. We will make the staff in the guest services immediately make a decision. 7.We want to make sure that all employees at any time, be honest, mutual cooperation, care colleagues, body Trust, honesty, respect, integrity. 8.Every employee can be willing to learn, enterprising, improve the comprehensive quality, with advanced management Read and skills. 9. We want to make sure that all problems can in the shortest possible time to obtain feedback and solution. 10.We always put an end to waste, attaches great importance to environmental protection, maintain and continually work to create a good living environment.